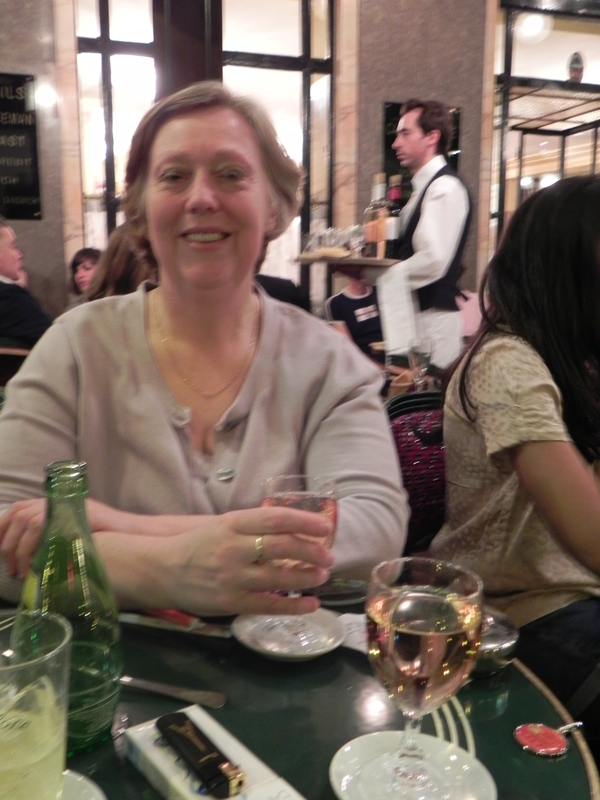 The Experienced Traveler is coming apart at the seams at the Cafe Flore on Blvd St. Germain. It's a hardship but our research must be done. The Experienced Travelers got 24 more hours in Paris, compliments of the airline that outright cancelled our return flight. Next time the going gets tough, I’ll remember when Divine Providence granted me an extra day in Paris. At the current ET exchange rate, that comes to 6 more glasses of wine each. And isn’t this evidence that St. Genevieve, the patron Saint of Paris, is watching over us? Melinda had a “lost day” yesterday due to a funny tummy – and voila! She got it back today. I assure you, she made the most of it, shopping the St. Germain neighborhood with vigor. There’s so much more to report – including a very scientific macaron taste test, several memorable meals and hours of people-watching. Our shoes are worn; our muscles ache; but our spirits are in exceptional form! Hopefully tonight we’ll visit Polidor for dinner and let you know how it goes. The ET view from the terrace of La Fontaine St Michel on a gorgeous Sunday afternoon. 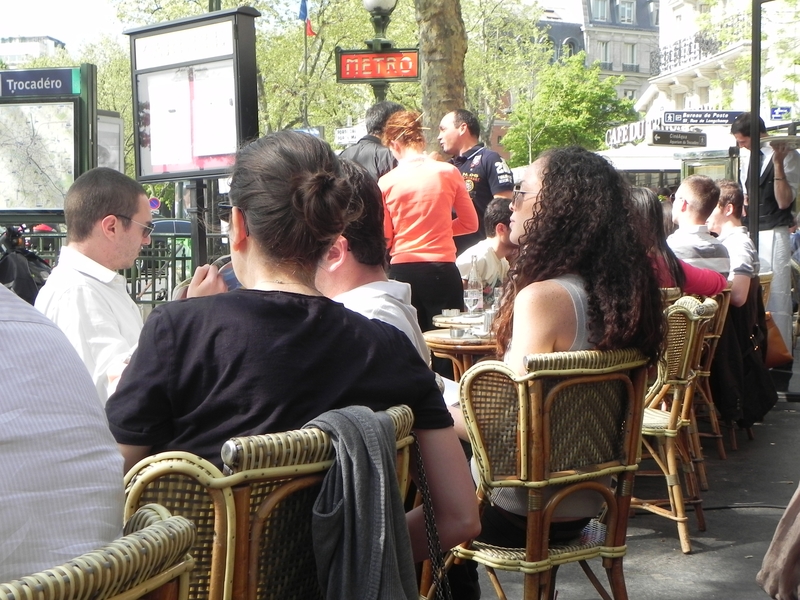 This entry was posted on April 11, 2011 at 10:53 am and is filed under Paris Cafes, Paris Life. You can follow any responses to this entry through the RSS 2.0 feed. You can leave a response, or trackback from your own site.